Hope you had a good weekend. 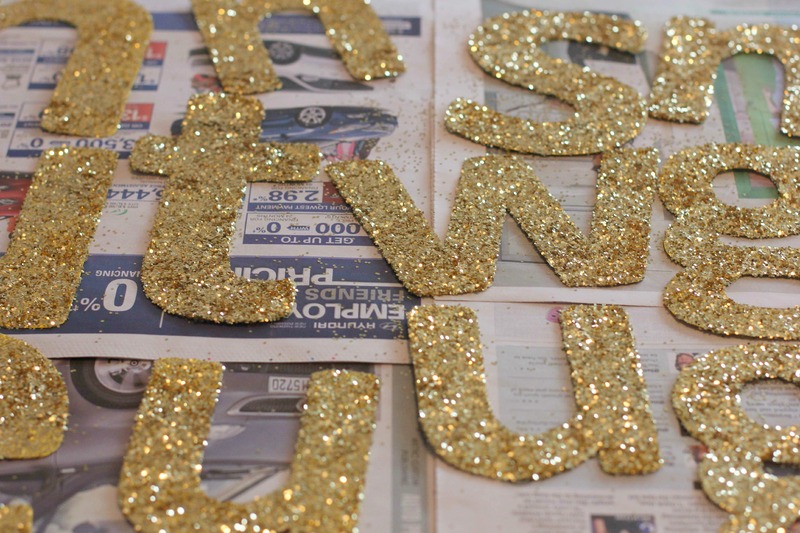 I’m feeling a bit off with the time change, but this DIY project using gold glitter is sure to help! We made this handmade sign for our Indie I Do booth last January using paper, some fishing line, glue, and glitter! 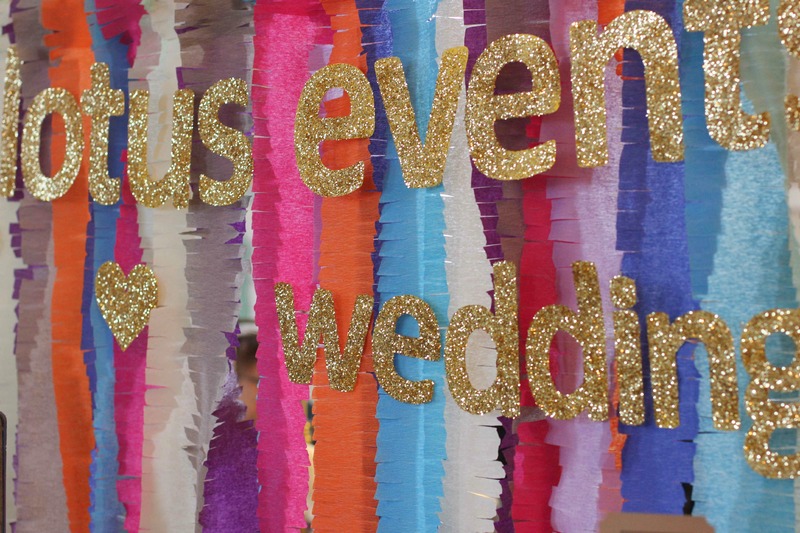 Customize your message for parties or booth displays! things you need: cardstock, computer, printer, scissors, fishing line, glitter, glue, tape. Choose what you wish to say! Determine the size you wish your banner to be and print out the letters using your computer. 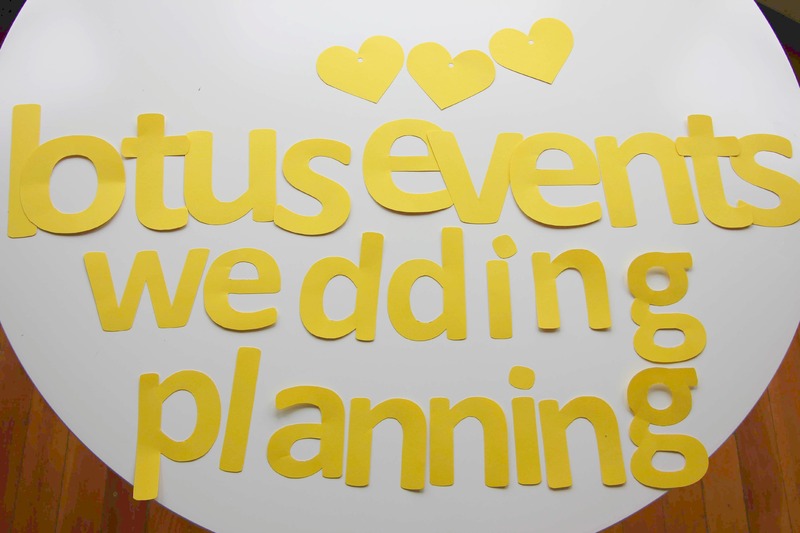 I’m sure there are plenty of fancy tools that can help you, but I just hand cut the letters on to card stock. The banner pictured above took me about 1-2 Gossip Girl episodes to complete (don’t judge me!). 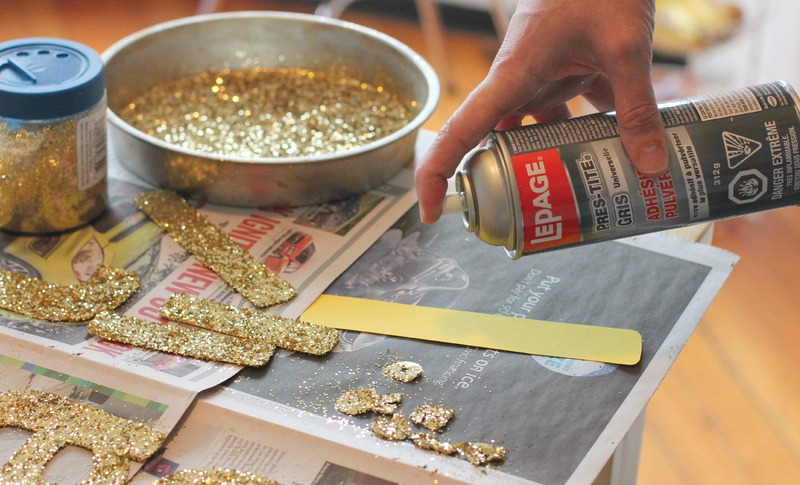 Cover your table with newspaper to keep the glitter mess to a minimum. Using spray glue (I bought this at Michaels) or a glue stick, spread the glue on one side of the letter and dip it in the glitter. Make sure that your letters are the right side up to ensure that your letter is orientated correctly (The letter ‘p’ and the letter ‘d’ can be tricky!). Shake off excess glitter and let dry. Here comes the difficult part! Line up your letters from right to left with the non-glitter side facing up. Measure a long piece of fishing line across the entire banner section making sure you give yourself extra string on both sides of the banner for tying. Use tape to secure the fishing line and lift the banner up gently to make sure that everything is secure (you may need more tape). For a lower case ‘i’, we used a toothpick to hold the dot in place.